Dutchman Dylan Van Baarle (Garmin-Sharp) won the 2014 edition of the Tour of Britain in London on Sunday, after limiting his losses in the morning’s time trial and finishing safely in the peloton in the afternoon’s finale. 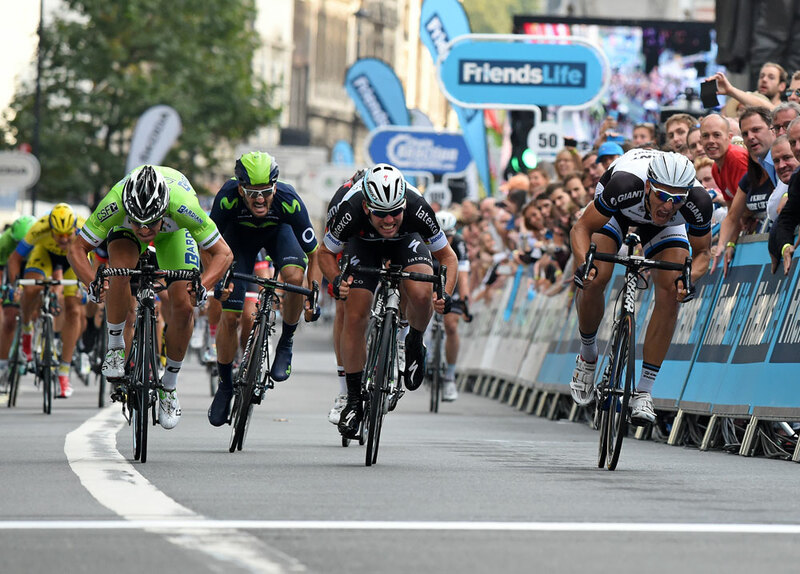 Marcel Kittel (Giant-Shimano) ended his Tour of Britain as it began, winning the bunch sprint after a frantic final circuit-based stage in Westminster. Mark Cavendish (Omega Pharma-QuickStep) was pipped to the line in a photo finish, with Nicola Ruffoni (Bardiani) in third. Bradley Wiggins (Sky) won the morning’s short 8.8km time trial with a typically dominant and crowd-pleasing ride against the clock. However, the distance simply wasn’t enough for the defending champion to make more headway into the top of the general classification and he ended the race in third spot overall behind Van Baarle and Michal Kwiatkowski (Omega Pharma-QuickStep).